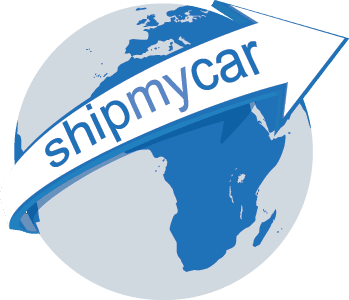 At ShipMyCar we offer an all inclusive car shipping package which allows you to purchase a car from say the USA, Dubai, etc and have us handle the entire process from collection at seller’s address all the way through to UK testing and registration. Some cars shipped into the UK can be extremely powerful, heavy and difficult to control. Combine that with dodgy brakes and failed suspension and you are asking for trouble. Other countries do not have such strict safety checks so the car you are buying or shipping may never have been checked over for many years. We recommend anybody who has shipped a car to the UK or is thinking of shipping a car, to consider having the car put through a voluntary MOT on arrival, that way you can check the car is safe for you and other road users. For anybody shipping a pre-1960 vehicle to the UK and using our full car shipping package, we will do this as part of the process and recommend and changes required. The rules state that cars whether purchased in the UK or shipping to UK pre-1960 must still be in a ‘roadworthy condition’ – one would rightly expect therefore that if you were involved in a road traffic collision that the insurance company may deem the car unroadworthy and therefore jeopardise any potential insurance claim. Another good reason to ship your car and make sure it is safe prior to registering it here. If you are thinking of shipping a car to the UK and would like the process to be as trouble free as possible, we strongly recommend using our fully inclusive import package which includes everything you will need. We have developed a unique car shipping quote system to allow you to obtain a free and no obligation, instant breakdown of all costs involved in shipping a car back to the UK.